With the long-awaited Venom solo film finally hitting screens this weekend, we thought that we should take a look back at the history of Venom and the Symbiotes. While Eddie Brock is the most famous host for the Venom symbiote, the rise in popularity of the character has been matched by a massive expansion of Venom lore in the last three decades. Even though the origin of the Venom symbiote is steeped in Spider-Man canon, it would later be revealed that the Venom symbiote was a part of a much larger race called the Klyntar that had the ability to reproduce asexually. This, in turn, led to the Venom symbiote to produce multiple offspring, most notably Carnage (a.k.a Cletus Kasady). Since his introduction to the world in the 1980’s, the character of Venom has remained one of the most popular characters in the Marvel comic universe, especially among young readers. It’s easy to see why. Not only is Venom one of the coolest looking comic book characters, but his indelible connection to Spider-Man makes him a very interesting foil to the web head. 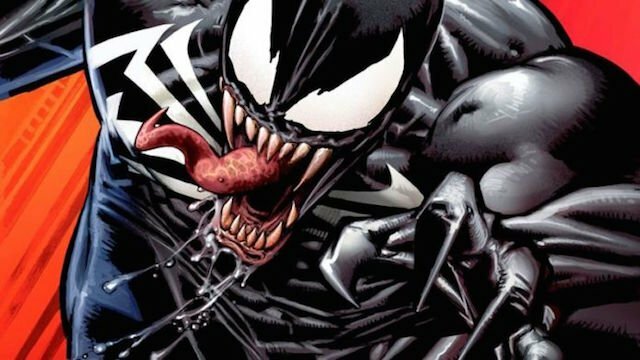 Starting off, we have great video from NowThis Nerd that details the evolution of Venom in comics, movies, and animation. What’s utterly fascinating about the evolution of Venom is how a fan-submitted costume variant for Spider-Man’s Secret Wars storyline ended up transforming into an entity entirely upon itself. Due in part to artists like Todd McFarlane and Eric Larson, Venom’s hulking stature and his signature wild, twisty tongue would be defined for the decades that would follow. Although the 90’s animated Spider-Man series was certainly defining for Eddie Brock as the primary host of the symbiote, the lore around the character started to be massively expanded in the aughts. This exploration behind the symbiotes and their origins by Comicstorian serves as a great refresher about the various offspring of the original. From Carnage to Anti-Venom to Hybrid, what’s great about this video is that it’s able to make some semblance of the often-convoluted mythology behind all of the various symbiotes. Perhaps the most ingenious notion behind the various symbiotes is the way that each affects their hosts in different ways. For Venom, it’s seeking a mutual bond that affects the host as well as itself. For Carnage, it’s being corrupted by Cletus Kasady, a homicidal maniac. For Toxin, he just “wants his two hours of playtime a night.” Aside from their hosts, all of the symbiotes possess some sort of want or need, and it’s these attributes that make them something other than just another Venom. As the previous video mentioned, the second most famous symbiote is Carnage. This cool video from RNS Entertainment takes a look at the origin of of the red symbiote. What makes Carnage so iconic among the symbiotes isn’t just that he was the first new symbiote and Venom’s direct offspring. He was also so powerful that defeating him required an alliance with Spider-Man. This arc that culminated in Amazing Spider-Man #361, solidifying Venom’s status as an Anti-Hero since Carnage was much more sinister and violent than the original symbiote could ever hope to be. Now that we have much more context about the some of symbiotes themselves, this fun video by Top 10 Nerd tries to decipher who the strongest symbiote actually is. I’ll admit that I’m not very familiar with the more recent Venom lore, but the top choice here is actually very surprising. I won’t give it away here, but suffice to say that all of the usual suspects appear on this list. While the rankings themselves are certainly up for debate, there’s no doubt that the original symbiote is easily one of the weakest in terms of sheer strength and raw power. Wrapping things up, this very interesting video from Because Science examines exactly what kind of symbiote Venom actually could be in real life. Aside from the silly jokes and the slightly too hyper host, this video asks a very interesting question: how would a biologist classify Venom? I’ll be 100% honest and say that I had no idea different types of symbiosis even existed. But learning the difference between mutualism, parasitism and commensalism is actually crucial to understanding the psychological intricacies of any given symbiote. Although the video does get a little technical at times, the big takeaway here is that we could potentially have millions of Venom-like cells living inside us at this very moment! Now that Venom is out in theaters, what did you think of the Film? Let us know in the comments section below!